Heat oven to 425°F. Spray cookie sheet with cooking spray. 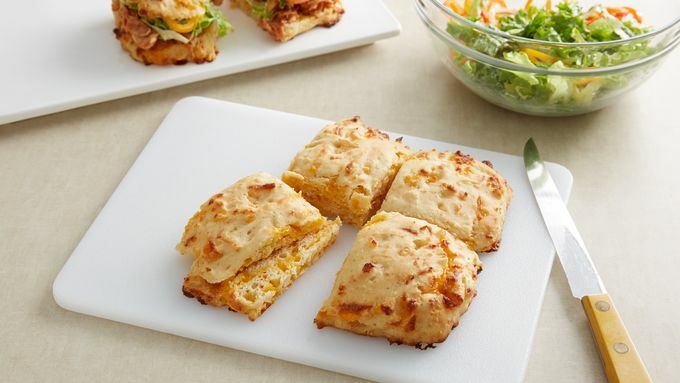 In large bowl, stir together Bisquick™ mix, milk, 2 tablespoons of the mustard and the cheese until soft dough forms. Spread on cookie sheet into 7x5-inch rectangle. 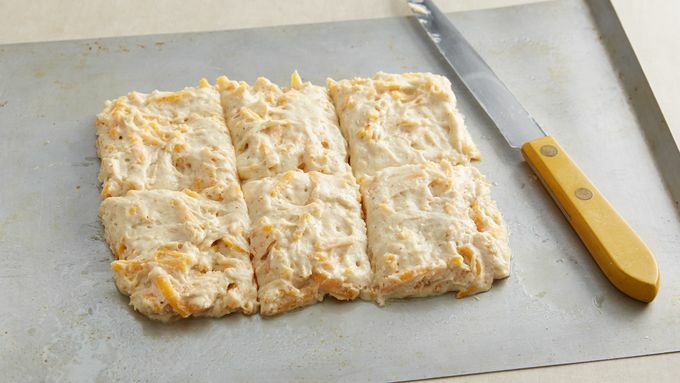 Cut dough in half lengthwise and in thirds on the long sides. Do not separate dough. Bake 10 to 12 minutes or until golden brown. Cool 5 minutes before slicing. 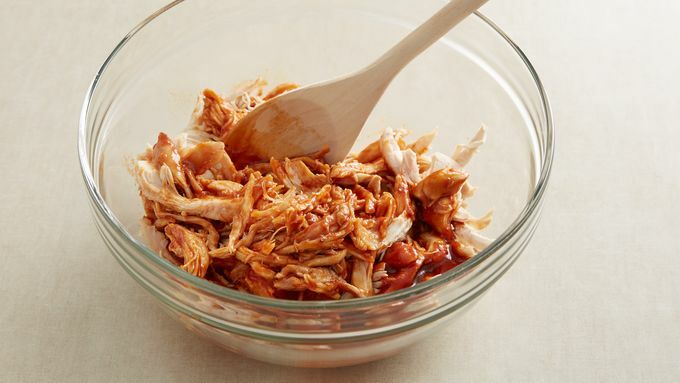 Meanwhile, in medium microwavable bowl, stir together chicken and barbecue sauce. Microwave uncovered on High 3 to 4 minutes or until heated through. In medium bowl, mix mayonnaise and remaining mustard. 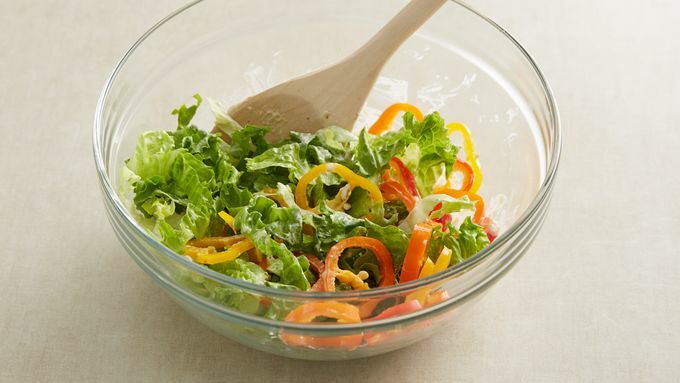 Add lettuce and bell peppers; gently toss to combine. To assemble sandwiches, separate biscuit rectangle along cut lines. Cut each biscuit in half. Place bottom half on plate. 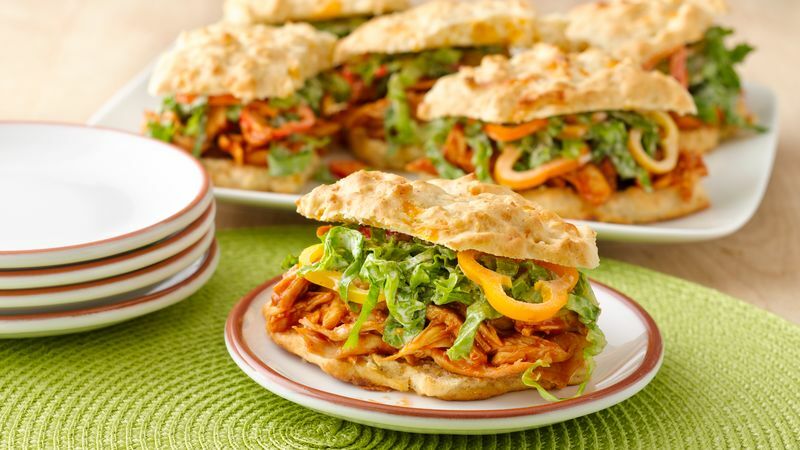 Top each with 1/2 cup chicken and 1/3 cup lettuce slaw. Top with biscuit tops. If you are pressed for time, make the biscuits ahead of time. Store tightly wrapped in the refrigerator, and warm up in the microwave when you are ready to use them. Keep the dough from sticking to your knife by spraying the blade with cooking spray before cutting the dough.